See below for Bournemouth Pavilion Theatre events & concert tickets. Check address, transport & venue details. Buy Bournemouth Pavilion Theatre tickets with confidence from LiveNation.co.uk. The Bournemouth Pavillion Theatre is Bournemouth's traditional venue for year round entertainment . 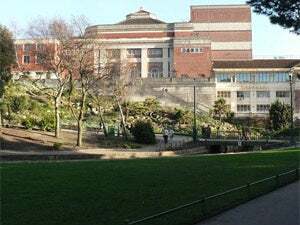 Built in the 1920s, it retains its splendour and elegant styling and is Bournemouth's regular home for West End stage shows, Opera, Ballet, Pantomime and Comedy as well as for corporate presentations and dinner dances, product launches and small conferences. Refurbished in 2007, the Pavilion Theatre holds a seated audience of 1012 in fixed seats on a raked floor, with a further 446 in the circle. The Ballroom provides an exquisite backdrop for banquets, receptions, social functions and even small fayres and exhibitions.